People who require protective eye wear for their work or hobbies tend to have unique vision and safety needs. After all, just as the person’s protective needs will differ, so too will their level of vision. While some people have 20/20 vision and simply need some durable safety eye wear to shield their eyes from flying debris or harmful rays, others need single or double vision lenses infused into their eye wear. If you are someone who needs safety eye wear that not only provides eye protection but will enhance vision for reading purposes or provide magnifying capabilities, you have come to the right place! In this post, we will take a look at five excellent reading and magnifying options for anyone in need of safety eye wear with those features. Bifocal Safety Glasses: If you normally wear bifocal lenses, you’ll need the same exact prescription when you are wearing any other glasses, particularly safety glasses. 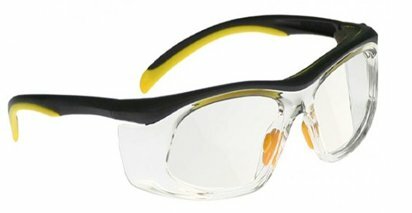 After all, if you are working in a potentially hazardous environment with protective eye wear, yet that eye wear does not allow you to see clearly, you’re not adequately protected at all. That is why bifocal safety glasses are so convenient and important for people with bifocal vision. The good news is that there are many bifocal safety eye wear options available for people who work in all types of industries from welding to carpentry and everything in between. The added perk is that it isn’t difficult to find bifocal safety glasses at an extremely affordable price (as low as ten dollars). The SB-5000 Bifocal Safety Glasses option, for example, provides buyers with either a completely clear lens or five different bifocal strengths including 1.0C, 1.5C, 2.0C, 2.5C, and 3.0C and every purchase has an extremely reasonable ten dollar price tag. 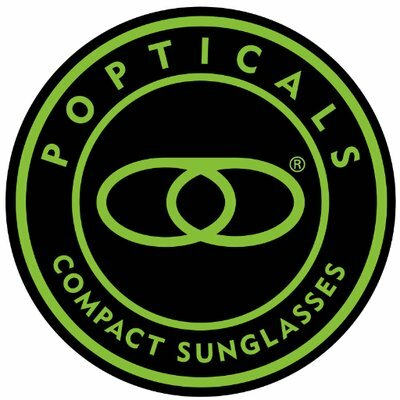 This eye wear product also meets and exceeds the ANSI Z87.1-2003 (Z87+) standards for safety and provides a comfortable fit, thanks to the rubberized temple inserts and rubberized nose bridge. The frame design boasts modern style and a lightweight feel, making it even more comfortable to wear for an extended period of time. Stick-On Bifocal Lenses: Everyone is unique and has different preferences. Some people like having safety glasses that fit over their regular glasses. Others would prefer to have a custom prescription lens built into the frames of their safety glasses. And some people like the idea of have stick-on bifocal lenses that can be “glued”, in a sense, onto the lenses of the safety eye wear. Stick-on bifocal lenses tend to be a popular choice because they are such an economical investment, costing considerably less than twenty dollars. No matter what kind of eye wear you have on, if you simply stick these lenses on, you can make any eye wear bifocal reading glasses. You can apply the stick-on bifocal lenses by using water. These lenses are reusable, super thin, weightless, and available in the following diopters: +1.25, +1.50, +1.75, +2.00, +2.50 and +3.00. If you don’t want to keep the stick-on lenses on your eye wear, you can easily remove them and reapply them to the same pair of eye wear or other glasses. 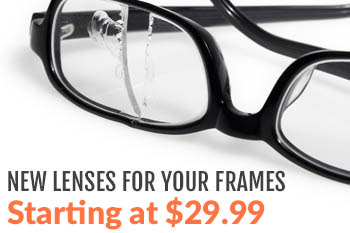 Why invest in expensive bifocal prescription lenses when these stick-on bifocal lenses will get the job done? By using these stick-on lenses, you can enjoy more enhanced vision when reading for work or for pleasure. Safety Reading Glasses: In some industries, a potentially dangerous job like welding, glass-blowing, or carpentry will require you to read a document or browse through instructions. During this kind of work, not only is it inconvenient to stop what you are doing, remove your safety glasses, and put on your reading glasses, it is quite dangerous. But if you have safety glasses that double as reading glasses, you don’t have to worry about exposing your eyes to potential damage. If you typically wear reading glasses, consider investing in safety reading glasses for work. There are many style options such as the PRG400-51 Safety Reading Glasses #PRG-400-51. This product is designed with a stainless steel frame that is practically weightless, yet extremely durable. The shape of the lenses are rectangular and are constructed with rubberized temple bars. These temple bars alleviate any pressure that might have otherwise affected the temple and areas behind the ears. This will allow you to wear the glasses for hours at a time, experiencing the ultimate comfort. The glasses also come with a protective side shield that can easily be adjusted or removed at any time. If stainless steel frames aren’t your style, there are many other safety reading glasses to choose from. Another popular option is the PRG375BK Safety Reading Glasses #PRG-375-BK. The black frame is exponentially thicker than stainless steel frames and is constructed out of a sturdy polycarbonate material. Although the frame is a bit bigger, it is in no way bulky or heavy; in fact, this safety eye wear option sits comfortably on the face and feels weightless when being worn. Clip-On Magnifiers: If you don’t need bifocal lenses or reading glasses and instead need something to magnify what you are reading, clip-on magnifiers are an excellent choice. You can get the clip-on magnifiers in either a small or large size and they will easily secure to your reading glasses, safety glasses, or any other kind of eye wear. The clip-on magnifiers are designed in a such a way that they can be secured onto virtually any type of eye wear. These clip-on magnifiers are most useful for anyone who needs to do some up-close examination, writing, or reading work. You can get your exact prescription built into the magnifiers and confidently wear them knowing they are a safe, healthy option for your eyes. Magnifiers are quite affordable at a mere $14.99 (some more, some less, depending on the product, material, and brand). When you choose clip-on magnifiers for your work, you can easily and swiftly adjust them or remove them. Because they are so durable, you can count on them for years of use, proving to be a worthwhile investment. Lastly, you can safely store them until you are ready to wear them again. Flex-A-Mag Desk Base Magnifier: If you do need some magnifying equipment to examine things while working, but don’t like the idea of clip-on magnifiers, this magnifier might be the right option for you. By clipping it to your desk, you are better able to examine your work up close and with greater clarity. The arm is flexible and allows you to easily adjust the magnifier to move where you need it to go. The magnifier lens is acrylic, weightless, and is built with a 4 diopter lens, providing sharper visuals. By relying on this desk base magnifier, you don’t need to worry about wearing specific eye wear and you can have your hands free to do the important work you need completed. Looking for more information related to protective eye wear with reading and magnifying capabilities? Or do you need another type of eye wear for your recreational or professional activities that could potentially harm your eyes? Don’t hesitate to contact us today with any questions or concerns you have. You can also keep reading our other blog posts for more free resources or visit our official website to browse our extensive selection of safety eye wear.